Many authors have heard the advice “Write What You Know.” But how many authors who write horror or paranormal stories can actually apply that mantra to their lives? Probably more than you think. The amazing author and my good friend, Stephen King, (okay, he would be my good friend if we ever had the chance to meet) once stayed at the Stanley Hotel in Estes Park, Colorado. 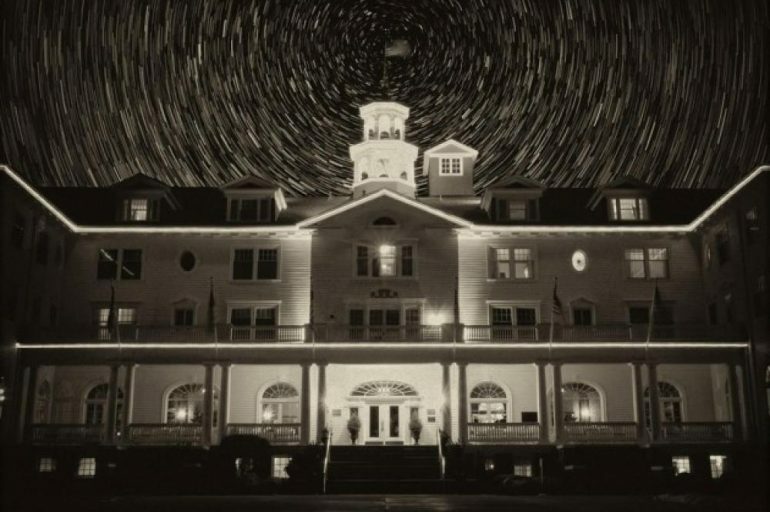 The Stanley Hotel has a reputation of being haunted. According to Amy’s Crypt, the Kings had an unusual stay at the hotel. “King and his wife arrived just before the hotel shut down for the Winter months but were luckily able to spend the night. They were placed in the presidential suite (#217), being the only room left with clean bedsheets. Since the hotel was in the process of shutting down there were no other guests checked in and the King’s had the entire hotel to themselves. 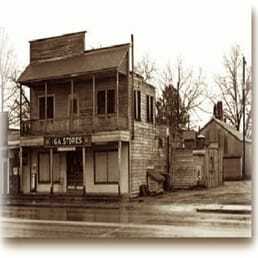 Stephen King spent a great deal of time drinking whiskey at the Stanley’s famous bar before taking a walk to explore the hotel and retreating to his room. It is fabled that he ran into two children on the fourth floor. A sight he thought was strange since there were no other guests staying at the hotel. He was to find out soon after that these children also did not belong to any of the staff members working at the premises. After retiring to his room and falling asleep King has a dramatic dream which caused him to wake in fright. He had noticed a fire hose in the hallway just before entering his room and dreamt that his young son was strangled to death by this very object. After waking and feeling quite spooked, King got up for a cigarette. By the time he had finished that cigarette he had the story for his best-selling and now movie adapted novel, ‘The Shining’, fleshed out in his head. He wrote what he knew – or what he’d experienced. In my first book, Loose Ends – A Mary O’Reilly Paranormal Mystery the story at the very beginning of the book, when a blood-dripping, headless ghost walks up the stairs to Mary’s bedroom and confronts her, is actually a retelling of a story that happened to one of my relatives. I wrote what I knew. Irish author Caroline Mitchell began her writing career following a terrifying paranormal experience. She recalls the tale in the Independent.ie : “The mother of four received a call at work from her husband, Neil, who was disturbed by crashing and banging upstairs in the house, even though nobody else was at home. It was the beginning of a four-year ordeal which saw the activity range from objects moving on their own to Neil being physically attacked and scratched by an unseen force. The family also heard growling in the house and were forced to flee in terror on several occasions. Over the course of that time the house was blessed by priests, but this had little effect so eventually they requested an exorcism from the Vatican. The turning point came when they visited a local priest at his house, which was attached to the church. While they were there, they heard heavy footsteps upstairs. It took a year to have the exorcism approved and carried out at the family’s home, but thankfully it quietened the activity significantly. Whatever is causing the issue appears to be attached to Neil and the family have found that removing their focus from any mild activity that does occur prevents it from escalating. Given the litany of incredible experiences the family had over the course of those four years, and the 30 other people (including one of Caroline’s fellow police officers) who also witnessed troubling incidents in the house, there has been huge interest in the story. Tired of repeating their terrifying tale to people, Neil suggested that Caroline write it down and her first book, Paranormal Intruder, was born. “I don’t even tell everyone that I started writing because of those experiences – it takes so long to explain,” Caroline tells Independent.ie. “I just say, ‘oh yeah, I just got into writing’ because once they hear that they don’t hear anything else! She wrote what she knew. Sir Arthur Conan Doyle, the brilliant creator Sherlock Holmes became obsessed with the paranormal. He actually wrote about an encounter he had with a spirit in his 1930 book, The Edge of the Unknown. Mentalfloss.com relates the story. “In one anecdote, Sir Arthur described waking up “with the clear consciousness that there was someone in the room, and that the presence was not of this world.” His body was paralyzed, but he could still hear footsteps echoing across the room. Then, Sir Arthur said he sensed a presence leaning over him, and heard them whisper, “Doyle, I come to tell you that I am sorry.” Moments later, the mysterious visitor vanished, and Sir Arthur’s body unfroze. He wrote about what he had known. William Peter Blatty is the author who is famous for writing the book The Exorcist. But one of his more recent books, Finding Peter, exemplifies more of writing what you know. Peter Blatty was William’s son. He died of sudden viral myocarditis when he was 19. This book, actually a memoir, recounts messages they feel they’ve received from Peter since his death. He wrote what he knew. Meet and Greet with Terri Reid! There is a thin vale between our 2 worlds. I often see the last owner of my sons house. She just pops in, residual I believe. I give free readings to friends and family from their loved ones. I’m so pleased to do this for people and I feel privileged to be able to do it. I’m very rarely scared. I may one day write about my experiences since a very young child!